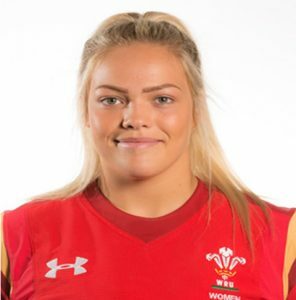 Nineteen-year-old, Kelsey Jones of Cilfrew is heading to the Women’s Rugby World Cup to represent Wales in a matter of days. 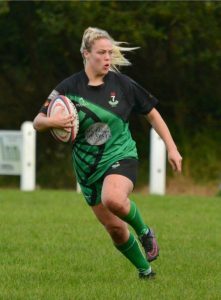 Kelsey Jones’ rugby career could be condensed into one sentence to give an idea of her outstanding progress in the sport: complete novice in 2014 and international star in 2017. Kelsey Jones had never played rugby before her first ever youth game in 2014. Three years later, this novice has grown into a Welsh rugby star and has been part of the Welsh squad since Autumn 2016. Celebrations will now be taking place in Neath as Kelsey will form part of the Welsh squad who are heading to Dublin for the World Cup which starts on August 9th! The 2017 Women’s Rugby World Cup will be the eighth edition of the Women’s Rugby World Cup and will be held in Ireland. The matches will be held in Dublin and Belfast. The pool stages will be held at University College Dublin with the semi finals and finals being held at Queen’s University Belfast and Kingspan Stadium in Belfast. This is only the beginning of Kelsey’s international career and we are sure that her passion won’t stop anytime soon. Kelsey, we wish you all the best in Dublin. Kelsey is the perfect example of what can happen when you add commitment to passion. Seven Sisters’ Rugby Club and I are so proud to have seen Kelsey develop so quickly and cannot wait to continue watching where Kelsey goes. Christina Rees MP, Patron of Seven Sisters Women’s Rugby Team.